Having a poor seating posture can lead to multiple symptoms such as neck pains, shoulder pains, back pains, muscle fatigue, rounded shoulders, slouching or even headaches. It is essential that children learn about good posture starting at a young age. SitRite robo chair has been lovingly designed specifically for children with correct seating posture and children's physical growth in mind. Our chair is unique in that it offers an ergonomic design with full cushioned back support along with various adjustable features for kids. The chair has a sliding seat that can be shifted according to the size and comfort needs of the child along with full height adjustment capabilities. As parents, we want to instill good seating habits in our children whether they are in front of a computer, reading or studying and SitRite robo chair helps children to sit right. Fully adjustable thick padded seat and height controls for children of all sizes: slide forward for larger children, backward for smaller children, unibody design made from high quality materials for durability, attachable footrest and rounded armrest for added benefits to maintain good seating posture, removable wheel caps to lock motion and protect surfaces such as wood floors and hard floors as they grow up, poor seating habits can have long term effects on children which could potentially lead to unwanted medical conditions such as scoliosis, torticollis or turtle neck syndrome. Help your child get a head start with SitRite. 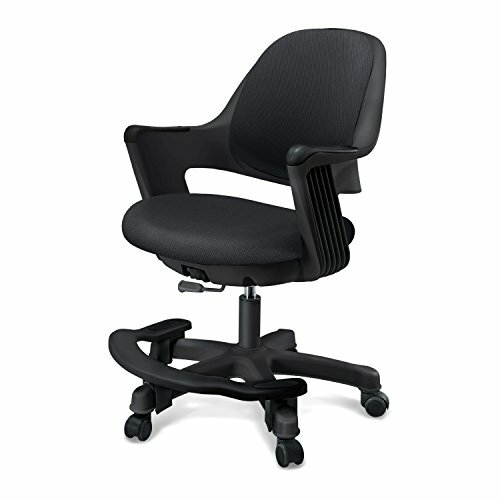 Our chair comes with a hassle free 1 year warranty that covers all parts and mechanisms. Simple assembly in under 5 minutes. Chair meets safety and flammability California bureau requirements. Suggested for children ages 4 and up. Weight up to 300 lbs. If you have any questions about this product by SitRite, contact us by completing and submitting the form below. If you are looking for a specif part number, please include it with your message.